Video: Pixel 3’s Pixel Stand Tour! 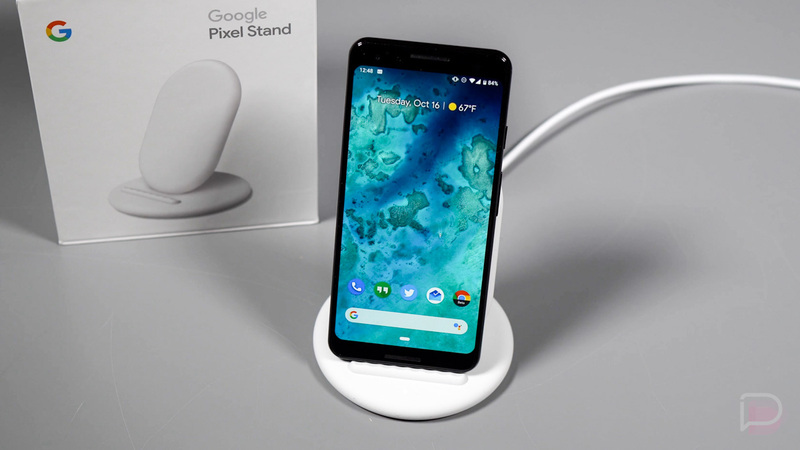 With our Pixel 3 review out of the way, we wanted to take a longer look at the Google Pixel Stand, the official wireless charger for Google’s new phones. At $79, it is by no means the most affordable wireless charger on the block, so let’s talk about what it does and whether or not you should spring for one. For one, the Pixel Stand is an upright wireless charger that positions your phone in a way that lets you easily interact with it as it charges. The stand itself features a rubberized bottom to prevent slippage, as well as soft touch coating throughout the body of it that should hold your phone in place. It is powered by a Google USB-C power adapter that supports Google’s rapid charging. For features, the Pixel Stand does do fast wireless charging, just like Samsung and LG’s phones do or have done for years. That’s good! That’s not the selling point, though. Google wants you to own a Pixel Stand because it turns your phone into a little Google Assistant docking station. You get quick access to Google Assistant from the lock screen, shortcut button recommendations (for events, the weather, playing music, etc. ), and quick access to your daily overview within Assistant. It’ll take Assistant commands to play music, control your smart home, set reminders, and anything else Assistant does. Outside of Assistant actions, the Pixel Stand has some other smarts. It’ll automatically flip your phone into Do Not Disturb if you want it to. It’ll recognize when you are in a dark room too, so that it can automatically turn your Pixel 3’s screen off. Both features are (obviously) good for night time. It can act as a photo album viewer too, bring up your Nest doorbell cam feed when someone rings the bell, and help you wake up in the morning with a sunrise alarm screen. Is all of that worth the steep $79 price tag? That depends on how much you want to interact with your phone as it charges and if you think those automatic activities it can do at night are convenient enough.